New research and technologies have significantly improved the efficiency of chicken meat production in the past decade. 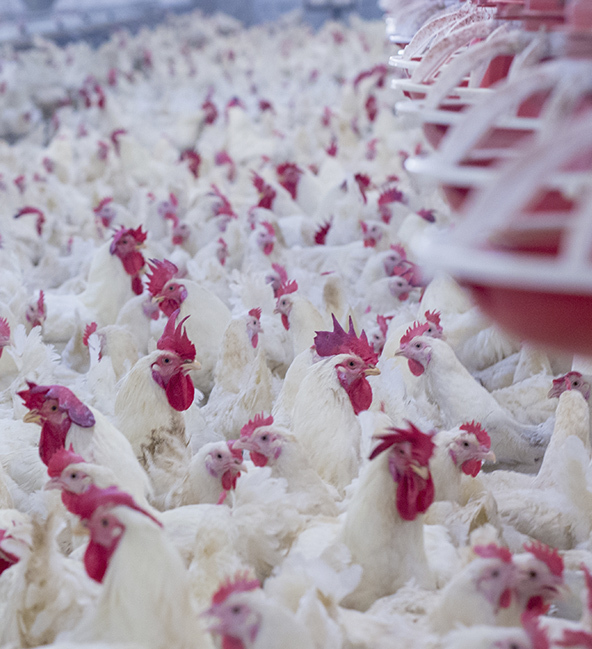 Chickens grown for the production of meat were often treated intensively with antimicrobials. This has led to the current legislation and consumer demand whereby antibiotic use in chicken production should be rationalized. It is critical to develop cost effective antibiotic alternative strategies to ensure the long-term sustainability of broiler production. Innovad offers an extensive range of solutions to prevent diseases ( i.e. necrotic enteritis), contamination (salmonella) and disorders (respiratory challenges, wet litter…) without medication. On top of this, Innovad helps producers to maximize their ROI by supporting organ health and improving growth rate and feed conversion.